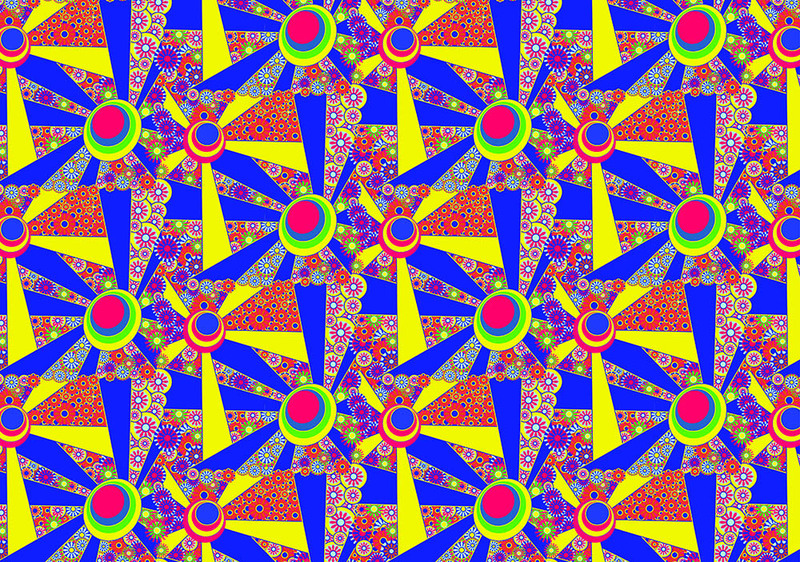 I decided to create a new post about patterns I did for a competition. 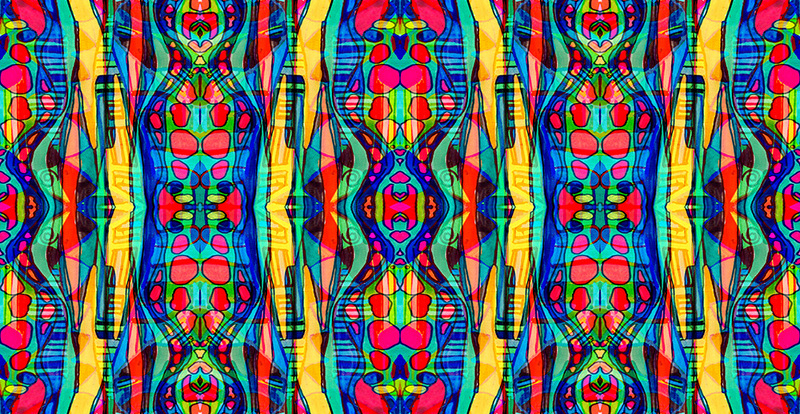 This is for Textile Federation competition and inspiration is the Psychedelic art movement of the 60′s and 70′s and referensing artists such as Peter Max, Miguel Calatayud and Celia Birtwell, as well as the early music poster scene of the time . I did 3 totally different designs and I want share them to You. The first design I made is from my old sketch. I just flipped it horizontal and vertical and that was that. 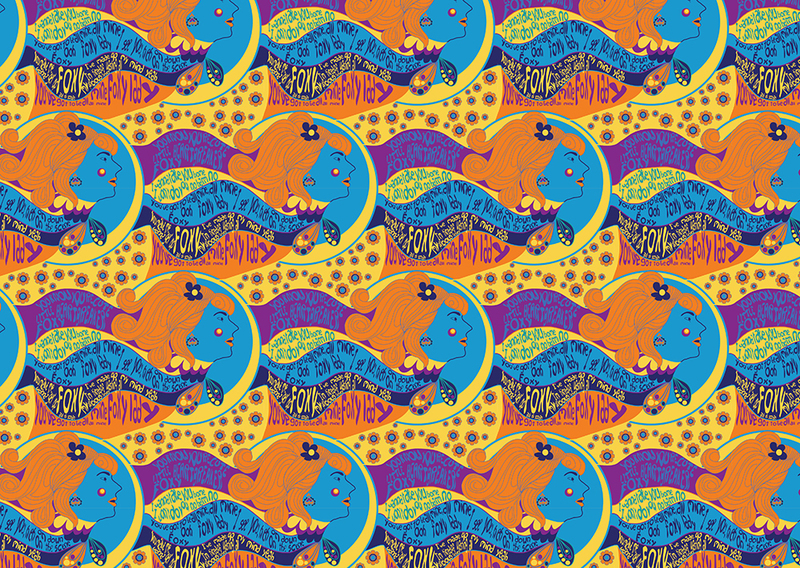 I usually don’t like to make designs only by flipping it, because that is the easiest way to make good pattern, but for this design I decided to do it..
Well, for this design an inspiration was a song. While I was doing the second design I put some music from 70’s. My choice was Jimi Hendrix and The Doors. I like music from 60’s and 70’s and I wanted to listen music from that time while I am working on my designs. The song I used for third design is FOXY LADY from Jimi Hendrix… I read again competition details and I saw they wrote that inspiration can be “the early music poster”. I Google that and I found so many great posters and I got awesome idea.